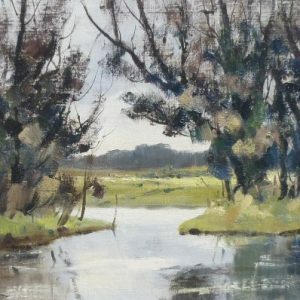 Doreen Allen lived for thirty years in East Anglia, travelling and painting throughout Essex and Suffolk as well as extensively around her Norfolk home. 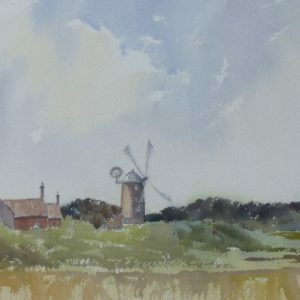 The variable effects of light and atmosphere on the landscape, open as it is to the broad East Anglian skies particularly interested her. 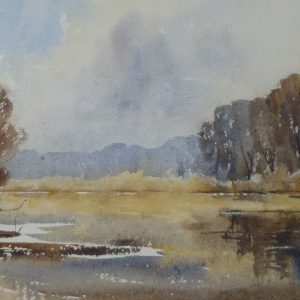 She preferred to work out of doors, finding her watercolours and pastels had a livelier freshness and spontaneity when completed on site, rather than being re-worked later in a studio from sketches, photos or memory. 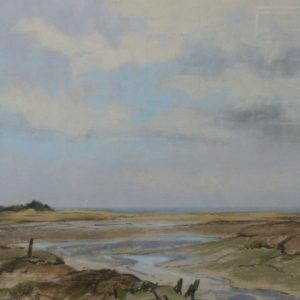 Doreen exhibited for many years with “The Pastel Society”, “The Royal Institute of Painters in Watercolour and the “United Society of Artists”. 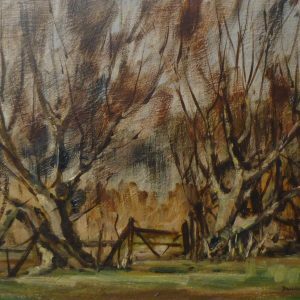 She also held numerous successful single exhibitions and her paintings are represented in many collections in the United Kingdom and abroad. 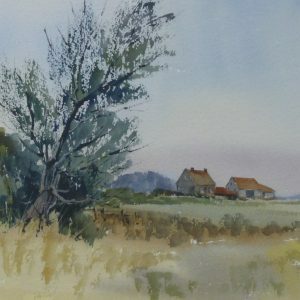 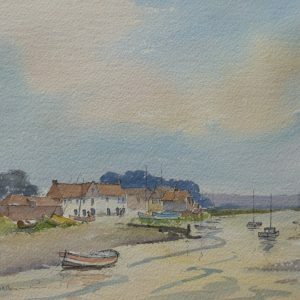 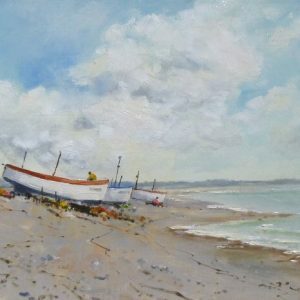 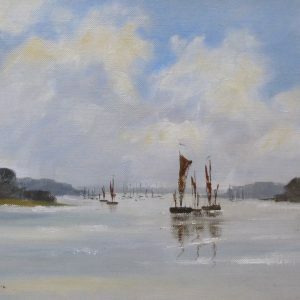 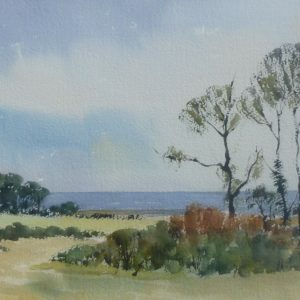 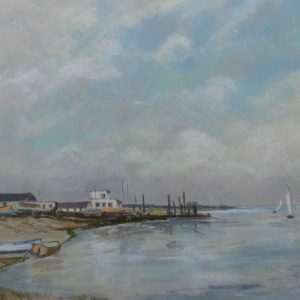 Doreen was married to the acclaimed painter Ronald Crampton and together they often held joint Exhibitions sometimes using their home in Great Massingham as a gallery. 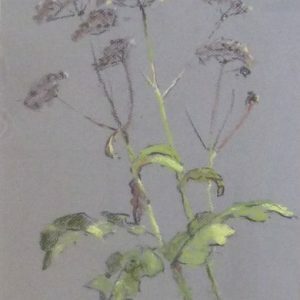 This Pastel is presently out of the gallery awaiting to be framed but can be viewed on request.